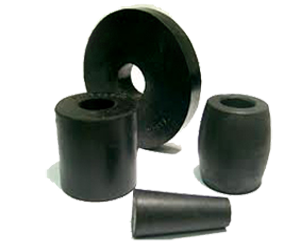 Bushes product Manufacturer, Rubber Bushes Manufacturer in Pune. A bushing or rubber bushing is a type of vibration isolator. It provides an interface between two parts, damping the energy transmitted through the bushing. A common application is in vehicle suspension systems. We are manufacturing a wide range of Rubber Bushes custom model products according to customer specification. we use only the finest quality of raw materials to create a quality of Product.